The Big Easy is most famed for Mardi Gras, but this charming Cajun town is full of history and incredible food at every turn too. If flashing for beads and chaotic crowds aren’t really your vibe, don’t miss out on stopping in New Orleans any other time of the year to partake in some of the most soul-soothing cuisine around. Here are the dishes you’d better not miss when visiting New Orleans! With huge French influences in New Orleans, it’s little wonder that French bread is the vessel for which to craft this famed sandwich. It’s crunchy yet pillowy and can be found in gobs of varieties, piled high with seafood or meat and plenty of lettuce, tomatoes, and all the fixings. It’s the kind of sandwich that won’t leave you hungry either. At 15 to 20 inches in length, you may need to take the rest back to your hotel to finish later. Sausage lovers, step right up! This sausage is made with liver and heart meat with rice. The description might not win you over but once you get a whiff of it cooking, you’ll want to get a plateful of it to go with your beer. Another sausage to try, it’s a smoky, spicy delight. Eat it as-is or if you order gumbo (more on that below), you will most certainly get a chance to taste it. Soft shell crab is everywhere, but New Orleans does it best. Try it in a po-boy, or prepared meuniere with thin slivers of almonds or toasted pecans for an unforgettable flavor. Nearly 100 years ago, Americans feasted on turtle soup in just about every corner. Now only New Orleans carries on the tradition. It’s rich and silky, spicy and dashed with sherry for an incredible way to transport yourself into yesteryear. 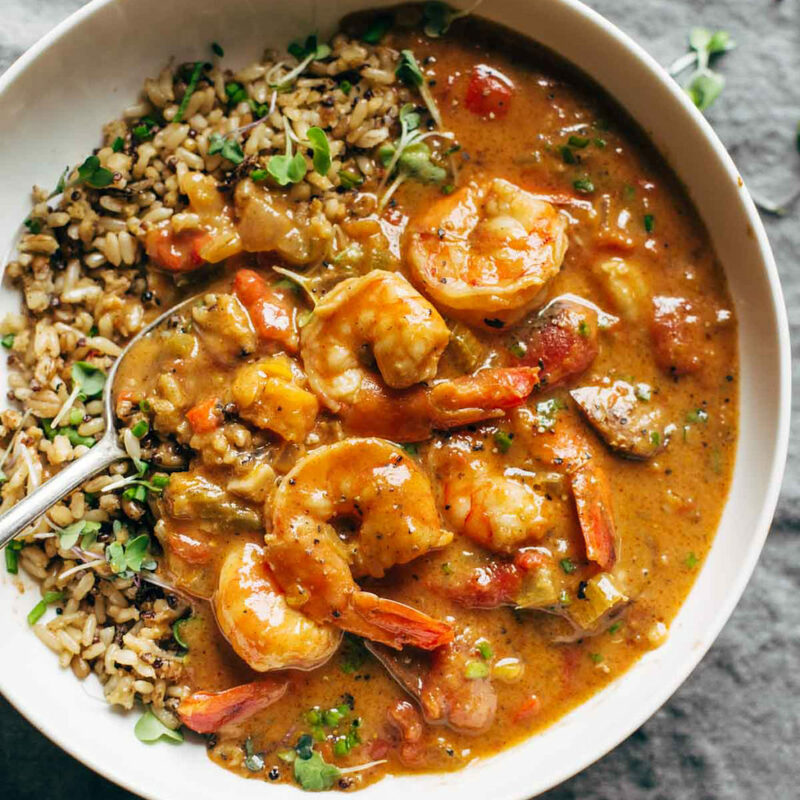 Everyone has their own signature gumbo recipe, but one thing is for sure, gumbo is worth a try in every place you visit in the Big Easy. 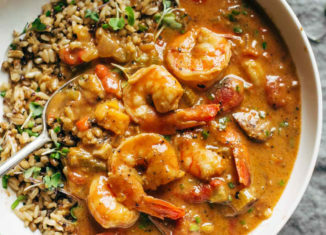 It usually features andouille sausage and chicken, though sometimes you’ll find seafood gumbo too, brimming with crab, shrimp, or a Cajun favorite – crawfish. It’s rounded out with a rich broth, rice, peppers, onions, and other bits that will warm you inside out. This rice dish is as versatile as gumbo and rather similar, though not soupy. Like gumbo, everyone also claims to have the best recipe. You really can’t go wrong ordering it anywhere in the city though, especially if you’re looking for a meal that will fill you up. And finally, no list of New Orleans food would be complete without beignets. It’s much like a donut in that it’s deep fried dough that’s served warm and golden brown. It’s soft and fluffy inside and covered with confectioner’s sugar outside. It’s equally amazing for breakfast as it is dessert too and pairs perfectly with coffee. The flavors of New Orleans are calling. Don’t miss out on these famed dishes!